In the past number of weeks, Asus has targeted Apple with a few comparisons which show Asus products beating certain Apple product. Asus showed the UX301 laptops as being thinner than the latest and greatest MacBook Air. Asus also suggested their ZenWatch is a far greater value than the Apple watch. Taking these tweets from Asus, it’s quite safe to assume that the ZenPad tablets will be taking aim at the iPad Air and iPad mini. So I think in terms of what Asus has said thus far about ZenPad tablets is that they will keep the same pricing as previous releases. If this holds true, and there is no reason to suggest it won’t, then Asus will beat Apple in terms of cheap pricing. The iPad tablets are constructed with aluminum and not plastic. Asus in the past has relied on plastic to keep costs down. Based on information released so far, the build quality of ZenPads is going to be more premium. 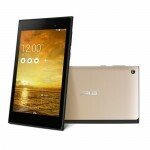 In addition, the “Zen” aspect of the Asus branding has been about quality. So here is a category, build materials and quality, that Asus can match with Apple. Obviously as consumers we can’t about the price and the margins of profit for Asus aren’t our concern. If using premium materials and not charging a premium price will certainly affect the profitability of the device. 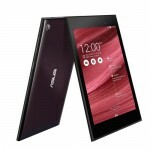 However, Asus and their market share should grow dramatically which could offset some of the costs. The iPad Air 2 is thin. Incredibly thin actually. It’s likely a primary focus for Asus to match or beat the iPad Air 2 thinness, and I wouldn’t consider it an impossibility. If they can match or beat the iPad thinness and at the same time beat the price? That’s going to be a big game changer in the marketplace. Asus has already boasted about the UX301 ultrabook beating the new MacBook Air in terms of thinness, so I’m sure it’s a target of Asus. Screen size is likely to be equaled by the ZenPad tablet line-up. Speed and processors should be very comparable and considering that most tablets even today can provide enough speed, it’s not that critical to the overall comparison. 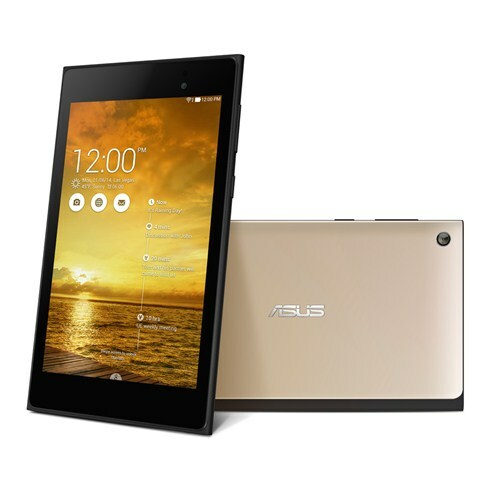 I would suggest though that ports is where Asus will beat the iPad series. Asus hasn’t shied away from including microSD card slots, and providing a cheap option to add 64GB of storage is a massive win for consumers. It’s something that Asus can sell and market to consumers. Cloud storage is fine, but having local storage flexibility is something consumers should demand on these media consuming devices. It’s possible for Asus just based on price alone. If these zenpads aren’t made of plastic, then it’s premium. The price war Asus will always win. If it’s comparable to the ipad tablets, then sure Asus has a chance here and telling consumers how they are better than ipad is a smart move for them too. Meh to Apple and their ecosystem of nonsense. Apple tablet sales how obviously peaked but it may mean it’s hard for asus to get people to update from what they already have. I’m looking forward to the battle these two companies will have. It’s game on and I have my popcorn.